A recent blog post from Robert Sheen discussed the IRS’s continuing efforts to enforce the Affordable Care Act’s employer mandate. On an annual basis, )applicable large employers (ALEs), organizations with 50 or more full-time employees and full-time equivalent employees, are required to offer minimum essential coverage to at least 95% of their full-time workforce (and their dependents) whereby such coverage meets minimum value and is affordable for the employee or be subject to IRS 4980H penalties. Complying with the policies surrounding the Affordable Care Act is no easy feat and neither is filing your annual information returns on time. Depending on the size of your organization, you may have the option to paper or electronically file your ACA information returns. Organizations with 1095-C schedules totaling 250 or more are required to submit their annual filings electronically. Despite being below the 250 in their form count, more and more organizations are opting to electronically file their ACA information returns for convenience. However, many times these electronic information filings are prompting an error message of “Accepted with Errors.” This means that there are errors in the data contained in the 1095-C schedules. The most common of errors that an organization will see is the “TIN Validation Error.” TIN stands for taxpayer identification number, e.g., social security number. If the IRS informs you that your filings contain TIN validation errors, it means that there is a disconnect between the naming convention in the Social Security Administration (SSA) database and the information provided on the 1095-C schedule. A common reason for a mismatch to occur is when someone changes his or her last name, say for marriage purposes. For example: Sara Dose was married during the 2017 filing year. When she married, she took her husband’s last name of Johnson, officially becoming Sara Johnson. Sara filed her name change to the SSA but did not have her name updated with her employer. When Sara’s employer filed her 1095-C schedule with the IRS, the employer used her old last name. As a result, there is a TIN mismatch resulting in a TIN validation error. Consult with the employee to verify there were no lapses in communicating the employee’s correct information. Make sure the employee’s personnel documents are up-to-date and in order. If the employee no longer works for your organization, try to obtain the correct information. You may have to try different methods and make multiple attempts before obtaining the information. Document all efforts made to solicit the correct information so that a good faith effort can be proved in the event of an IRS audit. Making the effort to correct errors reported by the IRS is just as important as filing and furnishing. Don’t ignore the errors identified in your annual filings. Failure to correct the errors may result in penalties under section 6721/6722 under Notice 972CG. Penalties can also be imposed upon the payee for failing to provide the correct information. These aren’t the only penalties to be mindful of. 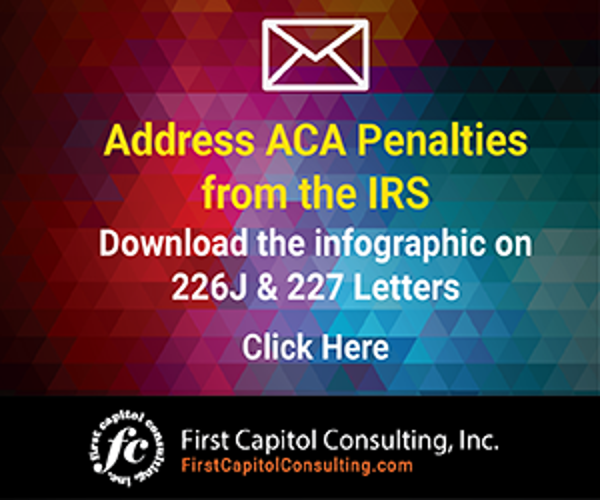 The IRS is continuing to enforce the requirements of the employer shared responsibility provisions and is issuing Letter 226J to organizations that fail to comply. Already received a Letter 226J? Learn how to respond here. If your organization had TIN errors in its annual ACA filings, other errors that could trigger penalties under Section 4980H are likely to be present as well. Consider conducting a spot audit of your 1094-C and 1095-C forms for previous filing years to ensure that no data errors have been made. 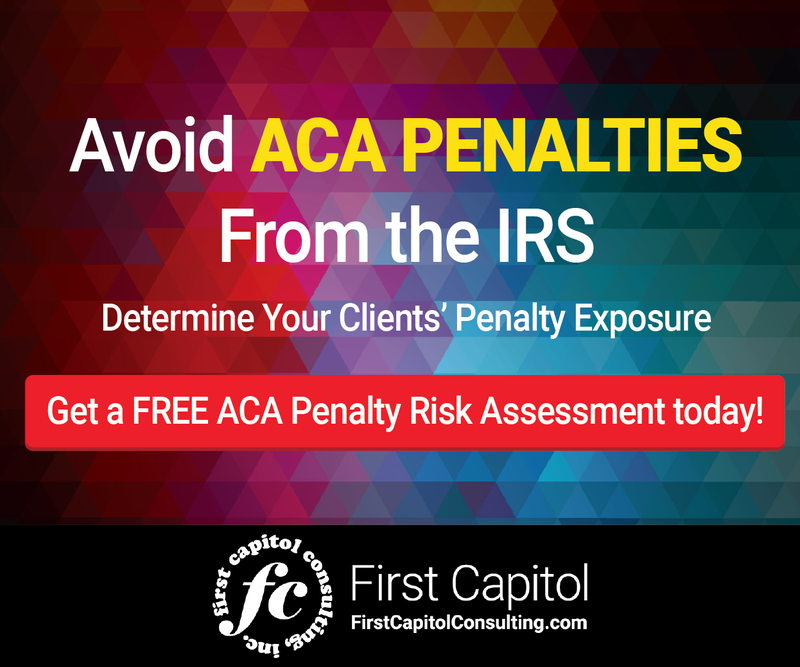 You may want to consider using outside experts in ACA compliance to help you with this audit. Many companies will offer this type of service at no cost to you. If your organization electronically filed ACA information returns with the IRS, you may have received notice of TIN Validation Errors in response, putting you at risk for ACA penalties.